Queen Victoria Signature with Royal Seal. 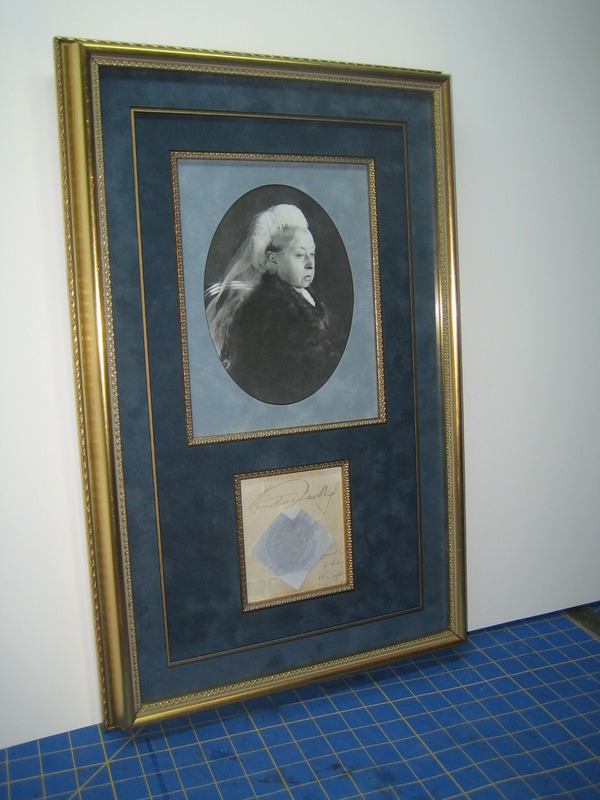 Queen Victoria cut signature with Royal Seal custom matted with photograph and framed to a 13x20inch format. 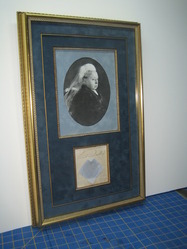 Signature purchased at Waverly Auction in Maryland in 1985 by AWA, Inc. Sold to Britton Smith in CANADA 03/11.